Does the Climate Impact What Kind of Dirt I Should Be Using? Climate can have a huge impact on dirt and what it’s most useful for. Climate refers to the weather conditions prevailing in an area over time, specifically the temperature and moisture conditions. These two elements have the most impact on the top layer (or soil layer). They affect the water content of the soil, chemicals found in the soil, and the soil’s organic matter that provides the soil with vital nutrients. The other type of dirt that’s most commonly used for projects is fill dirt. Fill dirt lacks the nutrients and organic matter that is prominent in topsoil, however this makes it highly advantageous for different purposes. 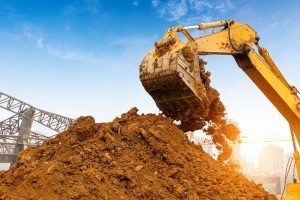 Depending on your purposes, where you’re located, and where your dirt is coming from, you must carefully select what type of dirt to use in your project. 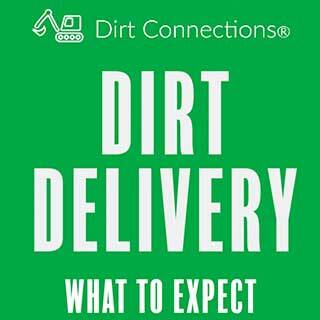 For more information reach out to your local professional fill dirt provider to answer any questions you may have and to inquire about their services. 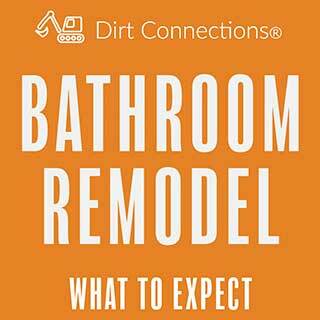 When it comes to your specific type of project, it is extremely important that you’re using the right kind of dirt. For gardening, farming, or planting projects, you should use nutrient rich soil that can sufficiently support plant growth. To create foundations, fill holes, or change your terrain, you must use fill dirt because it’s sturdier and won’t move around. It’s highly important to make sure you’re using the right kind of dirt because of the previously mentioned different properties of each type of dirt. If topsoil were to be used as a foundation for a house, the foundation would be extremely unstable because of the breakdown of organic matter over time. Due to this breakdown, the dirt shifts and could cause serious complications for any important structure on top of it. This is why fill dirt must be used because it’s so tightly compacted and doesn’t contain organic matter that will cause shifting. 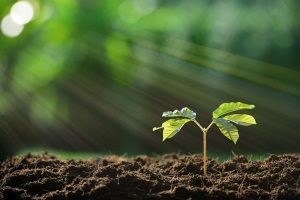 Those same reasons are why fill dirt is terrible for gardening, as it is too tightly packed and it lacks the necessary nutrients to support plant growth. The process of soil development and formation reflects the weather conditions of the area. Weathering is a term used to describe the means by which soil, rocks, and minerals are changed by chemical and physical processes into other soil components. While fill dirt is pretty standard everywhere, topsoil comes in many different varieties that make it more useful for certain plants over others. Understanding the composition of soil can help you determine which kind is more useful for your project. The five factors of soil formation are the parent material, climate, living organisms, topography, and time. Wherever these five factors are the same, the soil will be the same. However, if one differs slightly then the soil will differ. There are six main types of soil which are clay, sandy, silty, peaty, chalky, and loamy. Each has a unique makeup which makes them more practical in some areas than others. For example, if you live in an extremely dry area you need to select a soil that can support plants in dryer climates. The amount of water that enters soil influences the movement of calcium and other chemical compounds. This means that in climates with higher precipitation, the dirt will be more saturated with water which will remove more chemicals. This creates a deeper, more developed dirt. Precipitation also affects what kind of plants can grow in soil, as different plants require different amounts of water and nutrients. What plants can grow in a particular place will affect the organic matter of that soil because as the plants die they are absorbed into the soil and ultimately decompose. Different plants offer different decompositional benefits. Temperature levels are also just as important to soil composition. This is because in areas with higher temperatures, organic matter decomposes at a much quicker rate than in areas that are cooler. Because of this trend, decomposition happens from north to south. Extremes on both sides of weather conditions, wet or dry, can have effects that render the soil unusable for certain intents. For example, extremely wet soil (like in rainforests or tropical areas) can be so wet that it’s too unstable and has a hard time supporting plant life. In dry areas, the dirt can lack so much water that during windy weather it can be rearranged almost as if it’s a desert. Dry soil also supports very little plant life. For the most part, the climate has little effect on fill dirt because it is located so far below the surface. The top layer of soil absorbs all of the water, chemicals, and organic matter which prevents it from sinking down to the fill dirt layer. This means fill dirt is mostly the same, it just might be made of different compressed rocks. 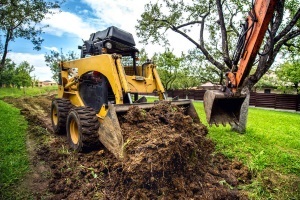 In some areas, this could mean that fill dirt has to be taken from deeper than the standard 6 inches below ground level if the soil is extremely wet and water has seeped down deeply. Topsoil usually makes up the first 2 to 8 inches of dirt. 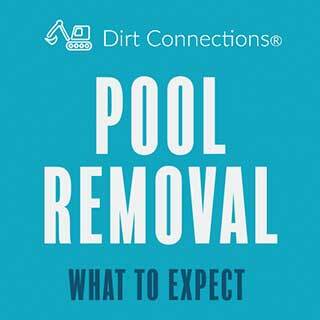 Whatever climate your fill dirt comes from, you need to make sure that it’s been tested and that it’s certified because fill dirt containing large debris, chemicals, or organic matter can compromise its ability to serve its intended purpose and make a successful project. These components are easily removed during a screening process, but you want to really make sure your fill dirt company did in fact perform a screening and that it was done thoroughly. Pay attention to the specific needs of your project as they will help you determine what kind of dirt is right for you. Consult a professional fill dirt provider with any questions you may have and to ask them about the services they provide.